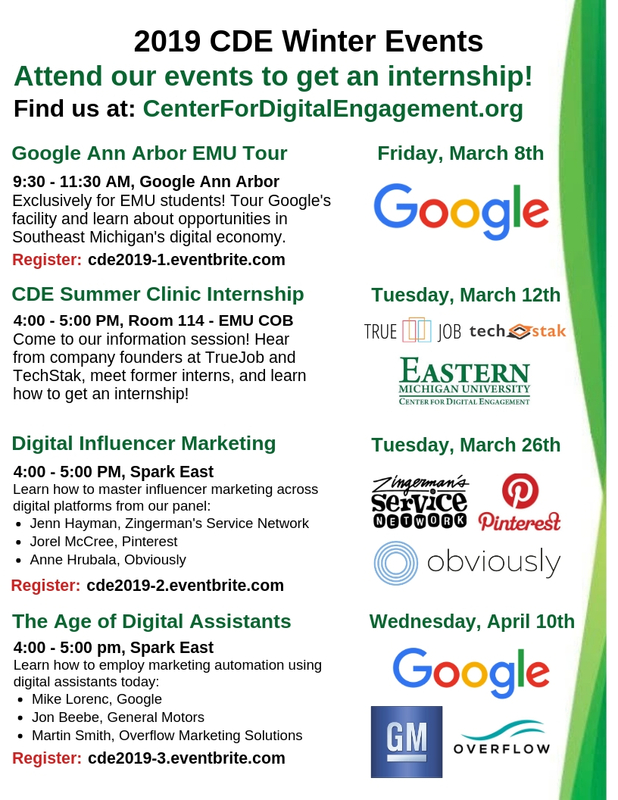 We are proud to present the Center for Digital Engagement winter 2019 events. March 8th, CDE is hosting a Google Ann Arbor Tour for EMU students. March 12th, Kicking off the CDE Summer Clinic Internship program. Presentations from the founders of True Job and TechStak, past Clinic interns, and CDE Director Bud Gibson. March 10th, The Age of Digital Assistants with panelists from Google, General Motors, and Overflow Marketing Solutions. More information to come about events!